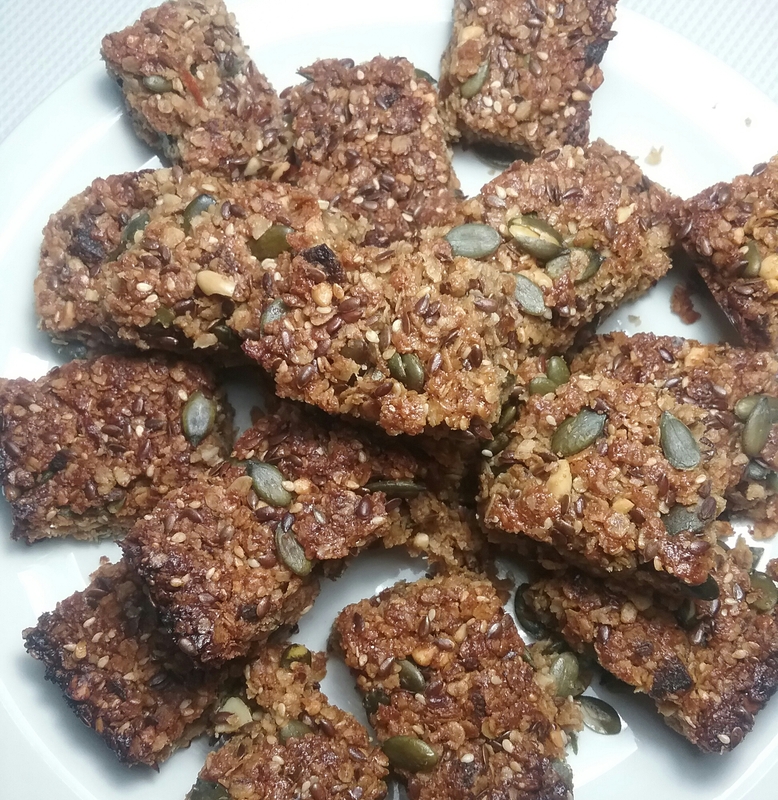 Apricot, mixed seed and oat bars (gf) | Jo's food bites. Quick and easy to make and perfect as an energy bar or snack . Preheat oven to 160c /gas mark 3 Lightly grease a 20cm square tin. Put butter, sugar and honey in a large pan and onto a low heat. Stir until melted. Remove from the heat and add all the other ingredients. Mix well. Put in to the tin and press down. Cook for about 30 mins. Leave to cool in the tin – when warm to touch cut in to slices in the tin. Leave until cold before lifting the pieces out. I love the addition of dried apricots.